The Punisher walks through the world we all know, a world darkened by war, crime, cruelty and injustice. He has no superpowers to battle the evil he sees - only his fierce intelligence, his years of combat experience, and above all, his iron determination to avenge those wronged by society's villains. 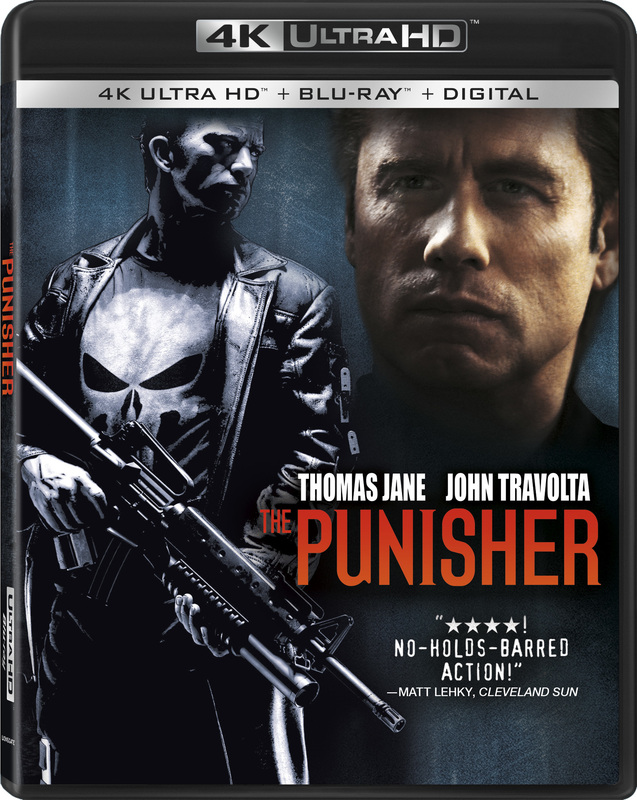 This dark action film, based on the comic book series, follows FBI agent Frank Castle (Thomas Jane) as he transforms into the vengeful Punisher after criminals murder his family, including his wife and son. Castle is gravely injured in the attack and believed to be dead by Howard Saint (John Travolta), the crime lord who ordered the hit. Following his recovery, Castle becomes a heavily armed vigilante who will stop at nothing to exact revenge on Saint and dismantle his underworld empire.